(Highlighter) Ingredients: Dimethicone, Caprylic/capric Triglyceride, Silica, Phenyl Trimethicone, C12-15 Alkyl Benzoate, Mica, Aluminum Starch Octenylsuccinate, Dicalcium Phosphate, Synthetic Beeswax, Cera Microcristallina/microcrystalline Wax/cire Microcristalline, Polyethylene, Synthetic Wax, Silica Silylate, Tocopheryl Acetate, Pentaerythrityl Tetra-di-t-butyl Hydroxyhydrocinnamate, Tin Oxide, Talc, Titanium Dioxide (Ci 77891), Iron Oxides (Ci 77491), Carmine (Ci 75470). (Blusher) Ingredients: Dimethicone, Caprylic/capric Triglyceride, Silica, Phenyl Trimethicone, C12-15 Alkyl Benzoate, Aluminum Starch Octenylsuccinate, Mica, Dicalcium Phosphate, Synthetic Fluorphlogopite, Synthetic Beeswax, Cera Microcristallina/microcrystalline Wax/cire Microcristalline, Polyethylene, Synthetic Wax, Silica Silylate, Tocopheryl Acetate, Pentaerythrityl Tetra-di-t-butyl Hydroxyhydrocinnamate, Talc, Tin Oxide, Titanium Dioxide (Ci 77891), Iron Oxides (Ci 77491), Red 28 Lake (Ci 45410), Carmine (Ci 75470). 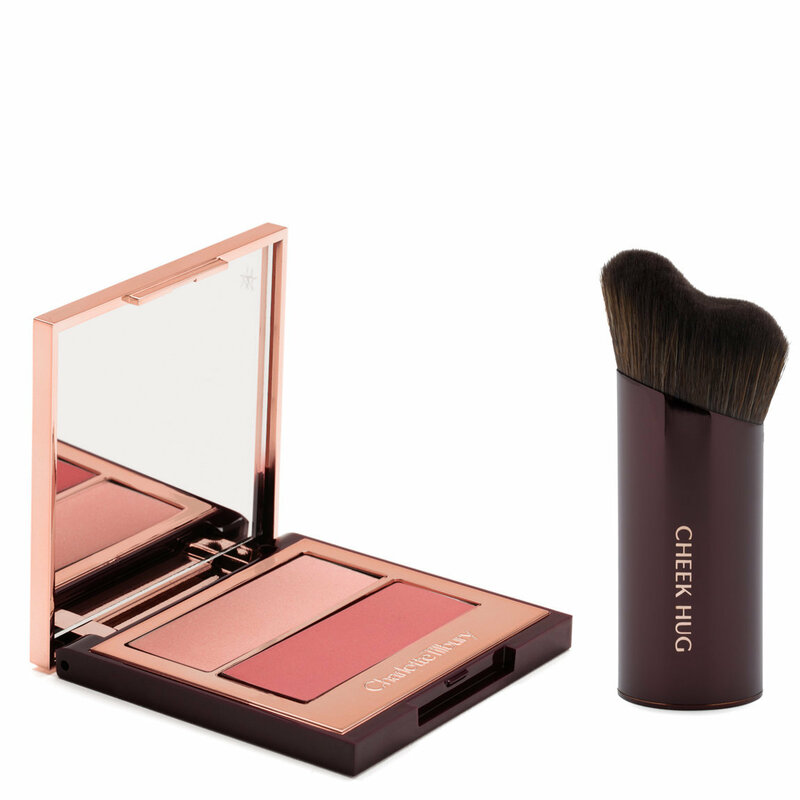 Achieve the glow-giving, skin-smoothing effect of your favorite Instagram filter with this cream-to-powder blush and highlighter duo. Limited edition Pretty Youth Glow Filter blurs the appearance of pores, uneven texture, and imperfections on the skin’s surface while imparting a healthy, youthful glow. Sweep a brush horizontally across the two shades. Apply to the apples of the cheeks, working towards the hairline. Complete your look with Hollywood Flawless Filter for a dewy, gorgeous finish. All in all, I don't really think it's worth the price. 50% off? Then it would be. I hate to say that because CT is the only brand I care about anymore, this product just isn't on the same level. I don’t know why some girls said it was dificult to put in, I was worried for that, but now that I have it and I use it.. it was very easy to use it, and it looks very natural, I really like it.